Garter stitch button up jacket with striped hem and cuffs. 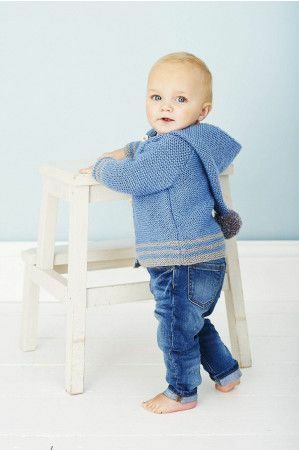 Perfect for keeping your little ones warm on cold days. The hood with pom pom adds a lovely touch.